A popular game that dates back almost as long as playing cards themselves, solitaire is a pastime that comes in all shapes and sizes. Once a favorite among a small sampling of gaming options that came preinstalled on early PCs, solitaire has since evolved into hundreds of different variations available across multiple platforms. We've listed our favorite versions of solitaire that can be played offline, letting you stack those virtual cards without the need for an internet connection. Featuring an attractive, easy-to-use interface, 123 Free Solitaire lets you choose from a dozen different games including three variations of Spider. Help sections for each title are both concise and informative, so you can master new deck styles and rulesets without a great deal of work. While its browser-based version requires an active connection, the downloadable Windows application can be played offline. 123 Free Solitaire will try opening a browser window after you run the app the first time, but that can simply be closed and ignored. Includes solitaire variants not found in some of the other packages such as Diplomat, Flower Garden and Forty Thieves. The hints don't always function as expected. BVS is one of the more expensive choices on our list, but for the serious solitaire player that needs the ability to play while offline it may be worth the asking price. The desktop versions offer a 30-day free trial, letting you get a feel for the game before making a financial commitment. The collection features over 500 solitaire variations along with the unique ability to create your own, tailoring the rules specifically to your liking. Dozens of original variations that can't be found elsewhere are included in this collection. There is no trial or free, limited version available for iPad/iPhone. A new entry on the solitaire scene that is quickly gaining recognition, Flipflop Solitaire bends the traditional rules quite a bit by giving the player free reign when it comes to stacking their cards. This flexibility comes with a challenging price, though, as you're only permitted to move a stack containing a single suit. Flipflop takes a little while to get used to, but once you get started you just might find that you can't stop. The freedom that these unique rules provide creates a fascinating twist for long-time solitaire enthusiasts. Although the game works just fine without an internet connection, at some point you'll be served advertisements that require you to go online in order to continue. In these cases the only suitable option for offline players is to restart the app. 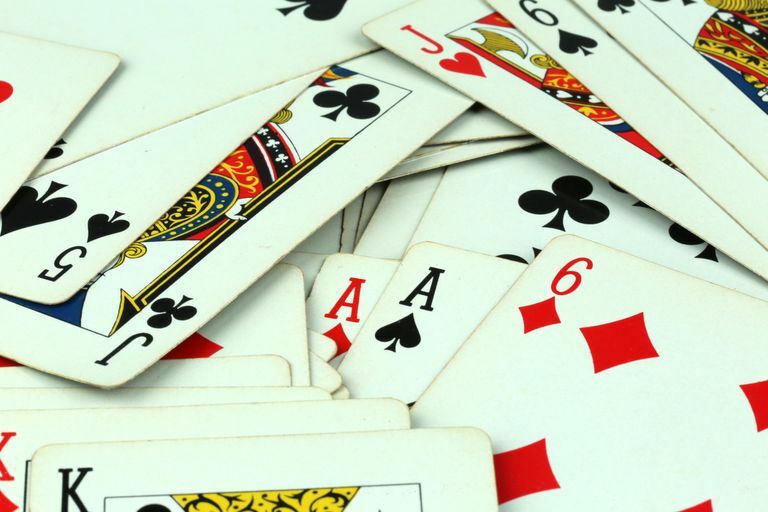 This app contains 70-plus variations of solitaire, almost all which can be played while offline. A helpful hint system, daily challenges and varying levels of difficulty all ensure that you'll be able to keep up but will never be bored with this impressive collection. You're given the option to use your own wallpaper as a game background. Some of the in-game ads are a bit forceful, making you click on them in order to proceed. Long-time Windows users will no doubt be familiar with Microsoft's original version of solitaire, a tried-and-true time waster in early versions of the operating system. The company has come a long way since then with its solitaire offerings, boasting a collection that contains well-known variations such as the classic Klondike, FreeCell, Pyramid, Spider and TriPeaks. This version of Klondike has multiple deck types and five levels of varying difficulty, and can be played completely offline if you need to. An internet connection is required, though, to track your progress and submit stats to the in-game leaderboards. Pop-out tips are very helpful when playing a solitaire variation that you're not familiar with, allowing you to learn the rules much faster. Contains random decks that appear to be unsolvable. One of the longest-running mobile versions of Solitaire on the market, MobilityWare's app lets you play the traditional Klondike variation on your smartphone, tablet or Apple TV all while offline. Whether you're in Airplane Mode or just can't establish a connection, Solitaire's interface allows for customized backgrounds as well as different card faces and backs. Different game and scoring modes are also available, including the gambling-centric Vegas and Vegas Cumulative rules. Hints are provided if you get stuck, as is the ability to undo the previous move. Daily challenges add a nice wrinkle to what can sometimes be a monotonous game. The in-game ads can occasionally be an annoyance. Brainium Studios applied a fresh coat of paint to the classic Klondike version in this app, allowing you to enjoy an old favorite across multiple modern devices. With an attractive and highly customizable interface along with Vegas scoring and several levels of gameplay, Solitaire is a must-have in your offline collection. The ability to add custom artwork to the cards right from your device's photo album. The game's randomizer does not always seem to mimic what you'd typically see in a physical deck. Just like their classic Solitaire app, MobilityWare's Spider variation features a quality audio and visual presentation designed specifically with smaller displays in mind. For old school Klondike players looking to get into the Spider version of solitaire, optional hints are provided that briefly show your next move. The interface is also highly customizable, not unlike the original, letting you tweak the look and feel to your liking. You can even modify the number of suits (up to four) and enable restricted deal mode. Allows you to go at your own pace, avoiding any unneeded pressure. The app's ad engine causes an occasional hiccup when your device is offline, sometimes forcing you to restart the game. An interesting twist on the Klondike and Freecell variations, Solitaire TriPeaks is more of an adventure game where you earn loot and progress to new areas by winning solitaire hands than it is a traditional card challenge. Brought to you by Game Show Network, traverse through multiple landscapes with your trusty guide Tiki by your side in this addictive app where you'll advance solely on the strength of your solitaire skills. Thousands of unique levels all but eliminate the monotony that comes along with solitaire games in general. Unfortunately, the TriPeaks app will not fully launch without an internet connection, so you'll need to open the game before going offline. Once you do this, you can play freely without being online for as long as you leave the app open. Over fifty different game variations are available in World of Solitaire, making it one of the most diverse options on our list. An attractive interface is accompanied by the ability to tweak card animation features and animation speeds, as well as modify suit order if you wish. Although not technically an offline game, there is a trick that will allow you to play without an internet connection. Simply load the website while your connection is still active and leave the browser tab or window open, at which point you'll be able to play full games even after going offline. You can also choose new game types while offline by using this workaround, but will have to reconnect if you'd like to select a different background. The ability to enable auto-play for obvious moves, or for when you've already won but haven't manually wrapped things up yet. There are no in-game sounds. Feeling bored? Looking for something to do? Try these games on for size!